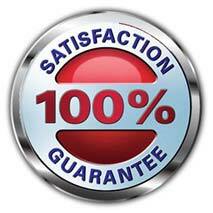 Do you know how it feels to be backed by a 100% percent money back guarantee? 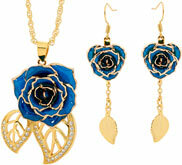 That is what you get when you shop with The Eternity Rose from the security of your home. Our 90 day money-back guarantee offers you the luxury of ample time to make sure that the product meets your desired satisfaction. 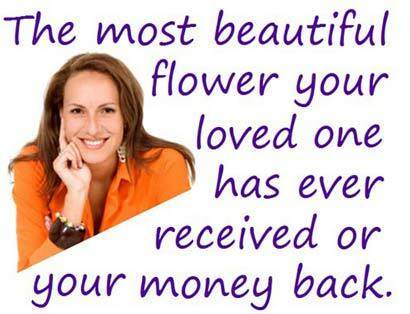 You are welcome to return the product within this time frame if your loved one doesn’t like it. For whatever reason you want to return your ordered item, just post it to the listed mailing address within the 90 day period from the invoice date for a full refund, no questions asked. Simply send us an email to inform us of the return order, and provide the invoice number. 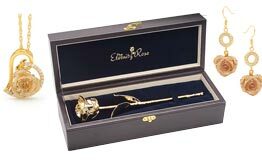 We have successfully supplied thousands of products globally from The Eternity Rose, and we have only had to deal with a small handful of returned items. We have the utmost confidence that our piece of art will be perfect in its presentation, and will be completely irresistible to the eye of your loved one. This is made possible because of our craftsmen who have a comprehensive knowledge base of plating flowers in gold, and other precious metals and materials. For your reference on what people think of our products, you can read our customers' testimonials here. Our greenhouse attendants are well equipped to know the precise moment when a rose has developed to its optimum peak of beauty, and is ready for the elaborate preservation process to begin. 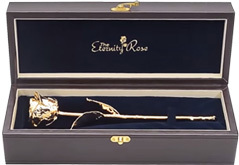 Our staff are committed to producing the highest standard of quality of products for The Eternity Rose, and we are happy to refund or replace any item that doesn't meet your 100% satisfaction. We have our 100% money-return satisfaction guarantee boldly etched in all our literature, which stands as a constant reminder to all our employees, customers, retailers and wholesalers. 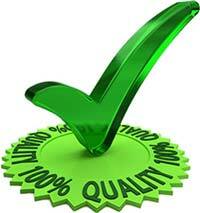 Our guarantee epitomises the respect we have for our brand, the products we create, and our helpful customer assistance. 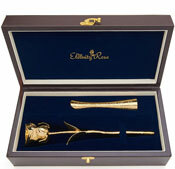 We recognise the value in a gift, and the importance of giving an ornamental item that is remarkable in its presentation and quality to a special person. We go the extra mile to ensure that our manufacturing processes and quality standards are meticulous. 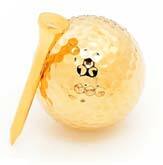 Indeed, our products are graced in the cabinets of nobles and royals in various world regions. This has been achieved because we devote quality time to check every single item that departs our factory to be sure it is exquisite and intricate in craftsmanship and detail, and that it maintains the flawless repute for the quality we are known for, and have fostered over many years. Information about our 60-Step Preservation Process can be referred to in relation to our manufacturing procedures.